Fancy making your own handmade jewellery? Take a look at our jewellery making kits and tutorials aimed at beginners! Browse our website for all the jewellery making supplies you need - get in touch, our friendly team would love to help you. Follow Kernowcraft on Instagram for more inspiration and designs from jewellers from Cornwall and across the world! Sadie has been a customer of ours for many years and we have absolutely loved watching her jewellery business blossom. 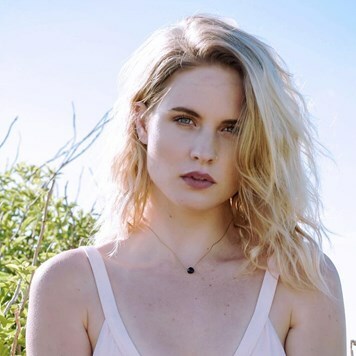 Based in Newquay, Sadie mainly focuses on delicate sea glass jewellery, spending her time searching local Cornish beaches for colourful treasures to use in her designs. Sadie also uses sterling silver and gemstones to create minimalist, coastal inspired jewellery we just adore. Find out more about Sadie on our Meet The Jewellers series here. 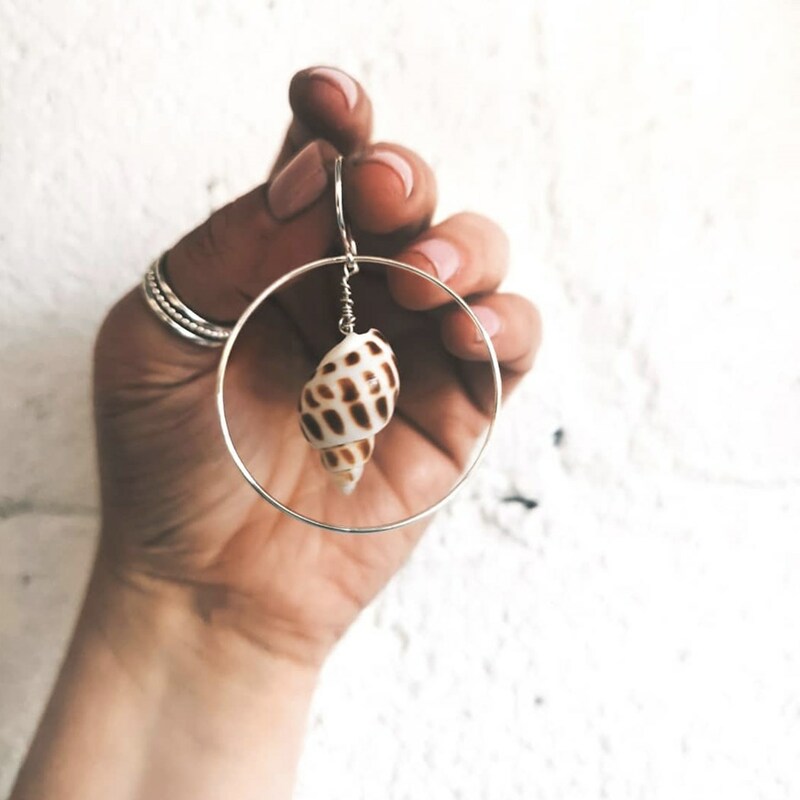 Hannah is an incredible jeweller, with many of her designs inspired by her own memories of growing up on the beach in Cornwall. Although Scotland is now Hannah's home, Cornwall still remains close to her heart and this can be seen in many of her pieces, such as these cufflinks showcasing Cornwall. Hannah also has a Coastal Collection, where she creates bespoke designs using a coastline design of your choice - a lovely idea! As you may know, Hayley is our Buyer here at Kernowcraft - that's right, she gets to stare at beautiful gems all day! It's always a treat when Hayley comes into the office with a new design to show us. Her designs are so pretty, mainly focusing on gemstone designs and sea glass pieces. 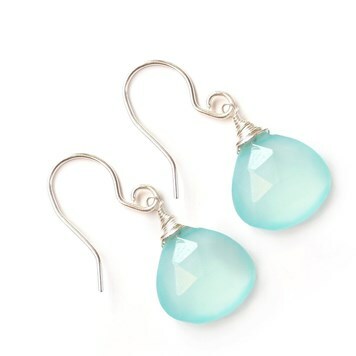 We love these featured aqua blue chalcedony briolette earrings, reminding us of drops of the ocean! Carly started Olive May in 2016, creating handmade Cornish jewellery inspired by the coast. We love her minimal style, using natural semi-precious stones, sea glass and natural sea shells. "Olive May symbolises dreams, hope, feelings and the free spirit of the sea." 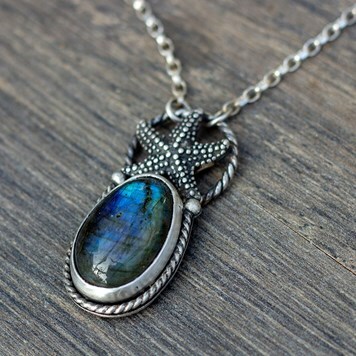 Many of Carly's designs feature a single briolette or piece of sea glass, letting the gorgeous stone speak for itself. Vitamin sea! 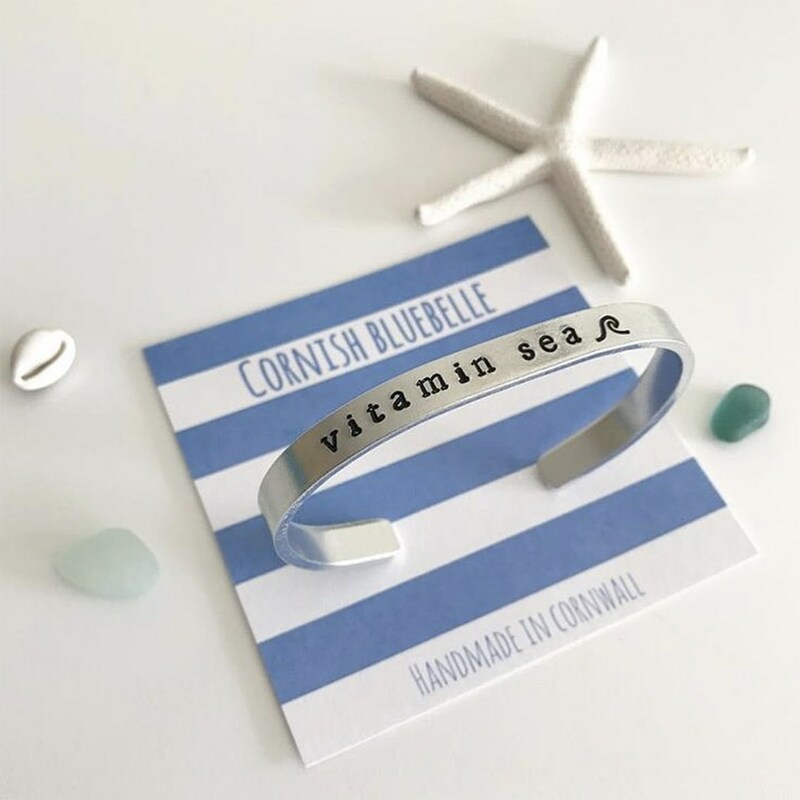 We love Cornish Bluebelle's hand stamped designs, adding a fun and interesting dimension to the piece. 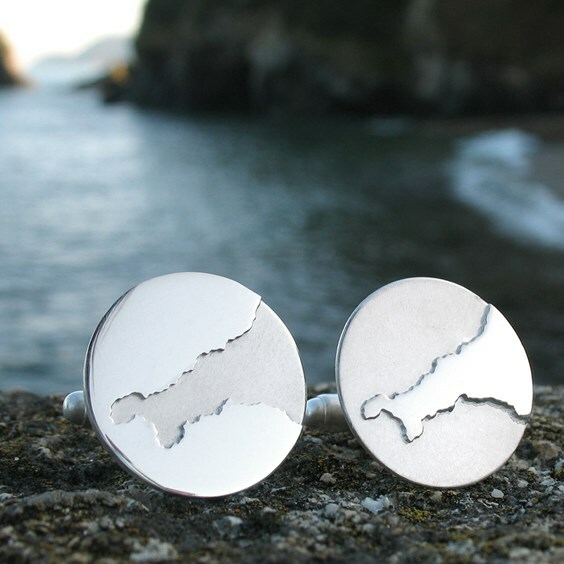 They are a wonderful and sentimental gift idea for the coastal lover in your life. You'll also find plenty more designs to choose from, including personalised items which offer a fresh and modern addition to your jewellery collection. Silver Origins has boutiques in Marazion and St Ives, two seaside towns that are bursting with inspiration! Focusing on silver jewellery, you'll find collections inspired by the coast, wildlife, woodland and more themes which can be found from Cornwall. 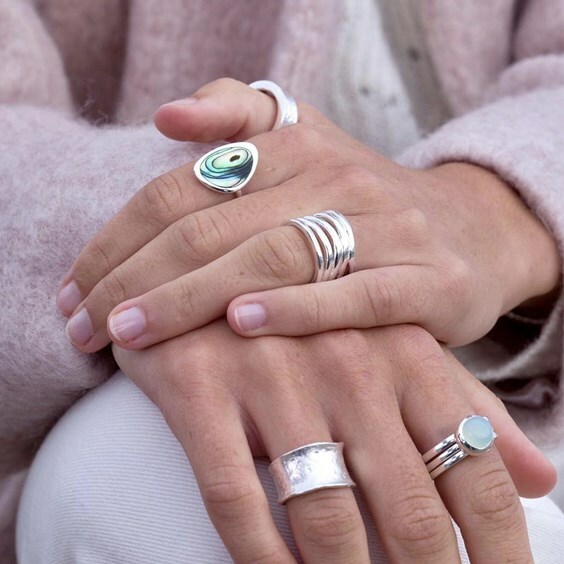 We adore this picture showing Silver Orgin's designs, included a stunning paua shell ring. Sarah is an inspiration! Jewellers are now becoming more eco-aware such as using eco-friendly wire and metal, which is one thing consumers are now looking for. Sarah uses recycled materials from driftwood, sea plastic and sea glass, combining these materials with semi-precious stones. Sarah's designs are not only making a change to the environment, she's also creating unique designs unlike any others. You can read more about Sarah here. Based in Perranporth (where the Kernowcraft office is located! 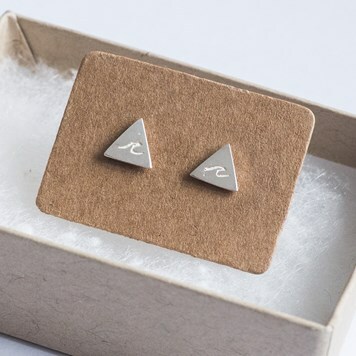 ), Jemima designs jewellery using eco-friendly metal, creating beautiful sea glass pieces and textured designs such as these geometric wave earstuds. We love etched designs, as they feel truly handmade and unique! You can read more about Jemima in our Meet The Jeweller series here. 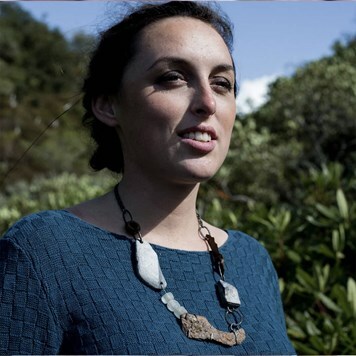 With over 16,000 Instagram followers, Jo Tubb is well known for her stunning statement gemstone jewellery inspired by the coast, wild moors and myths of Cornwall. Jo's pieces are beautifully detailed yet she always manages to make the gemstone take centre stage! We love the colour and natural elements running throughout her designs.